It’s been 2 and a half weeks since I returned from Italy and I miss it every single day *sad face*. 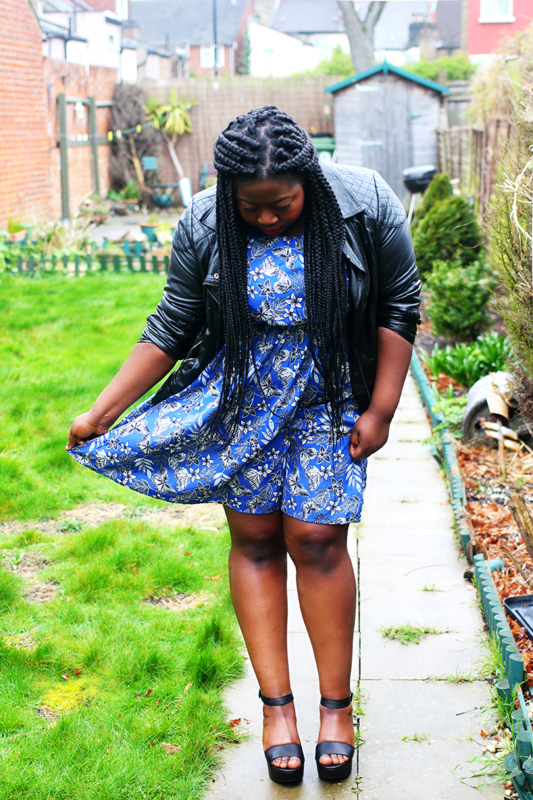 The attractions, the food and more especially the more than fair weather, which allowed me to go around in dresses for the first time this year, FINALLY. I think it’s more than safe to say that I’m still in holiday mode and for the time time, am actually looking forward to summer! This Summer I hope to expand my colour palette especially when it comes to dresses as upon opening my wardrobe, I’m normally greeted with a sea or oranges, reds and monochrome pieces, so in a bid to mix it up a little, I opted for this New Look Inspire butterfly print sleeveless dress* straight from their holiday shop collection. I’ve never really gone for blue dresses as I feared it would clash with my skintone, but alas I do think it kinda compliments it well! I’m always up for something above the knee so the length of the dress suits me down to a tee. The material is a tad ruched at the waistline which creates a flattering hourglass-y shape and has a cute monochrome butterfly and floral print. 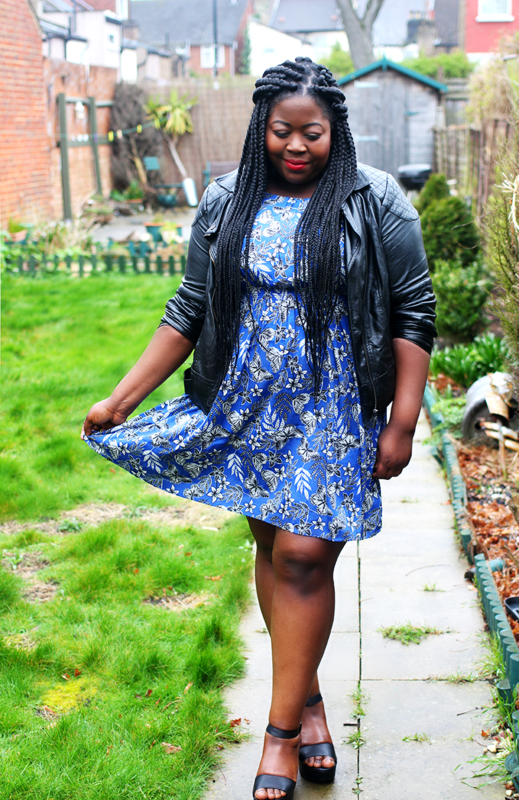 I styled the dress with a New Look biker jacket from a couple of years ago and Wide Fit Chunky Low Block Heels, also from New Look. Remember the importance of SPF. From lotions to face creams and lip balms, always remember to pack something with a high SPF, even if you are olive or dark skinned! If you intend on wearing shapewear on holiday somewhere hot, try and buy something that is white instead of black as the white material will keep you cooler in the heat as opposed to a black or beige item. If you’re wanting your body to have that extra shimmer, how about taking a shimmer based body oil or butter? I swear by the Nuxe Golden Shimmer Body Oil, but you can also get similar products from the Body Shop too. Run a strip of oil down the middle of your legs and buffer it in; it looks amazing when it catches the light, making your legs look nice and toned! Be confident in what you’re wearing above all and try not to let body hang ups get in the way of you having a good time! Take myself for instance; I absolutely detest showing my arms in public as it’s a major body hangup for me, but i’ll be damned if i’m going to sit in a super-hot country wearing a cardigan and roasting in my own juices for the sake of a few glares from people. I takes a hell of a long time to get to a point where you can just say ‘screw it’, but once you get there, it’s such a freeing feeling. Try it; life is far too short! Next Post Thoughts | You Deserve.